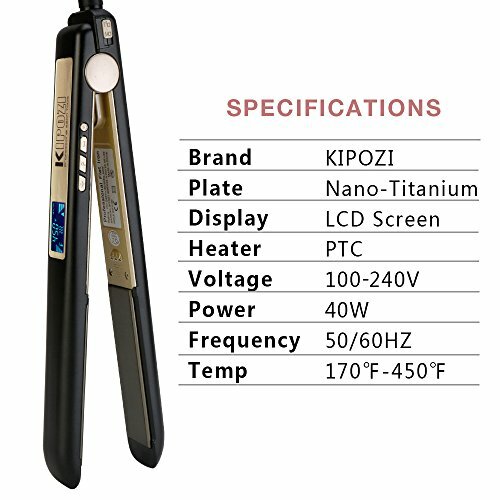 The diffenent between the matte black flat iron and rose pink flat iron:The matte black flat iron is PTC Ceramic Titanium Plate, but the rose pink one is MCH Ceramic Titanium Plate.both of them have their features.if have any question,pls contact us via email,we will provide you the best service at the first time. 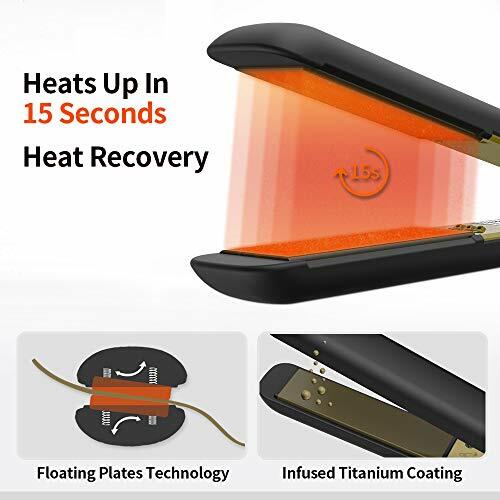 Thanks your purchase and I sincerely hope you will satisfied with it,everyone has their owe style,You won’t believe how silky smooth your hair will be after using our all in one straightener,and this is the best gift for someone you love!!! 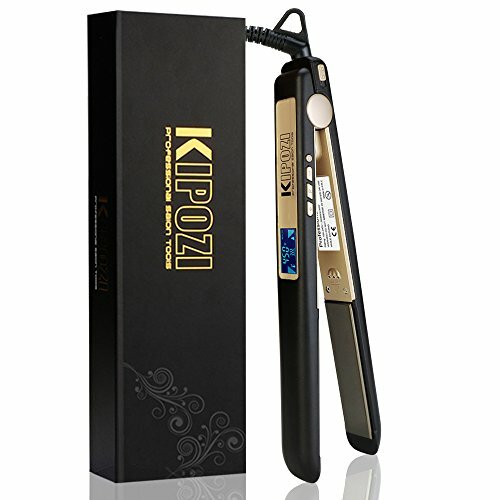 Comes with pro manual, exquisite package and our friendly customer service.you deserve it! 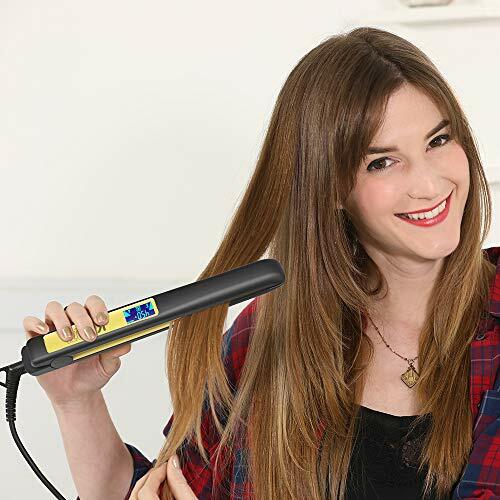 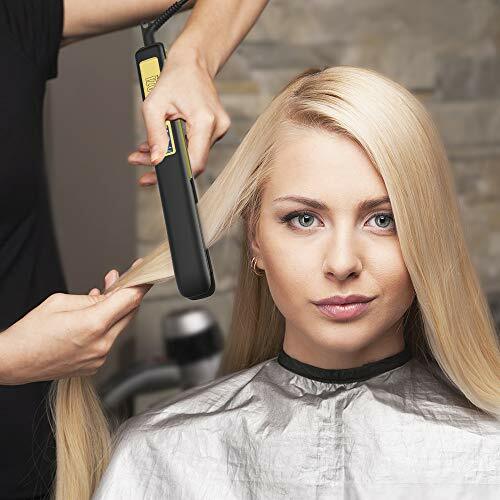 1.Plug the Flat Iron into a standard electrical outlet and press the O/F button for 3 seconds to turn it on. 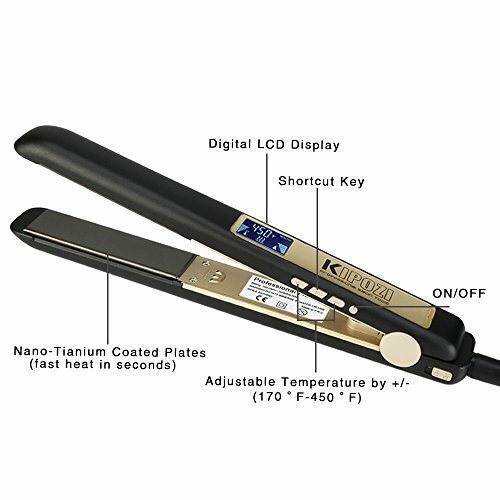 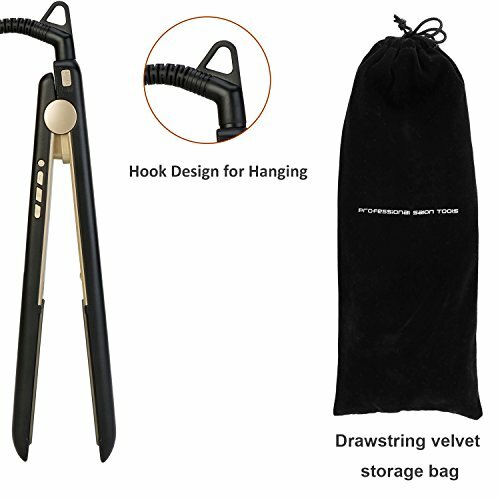 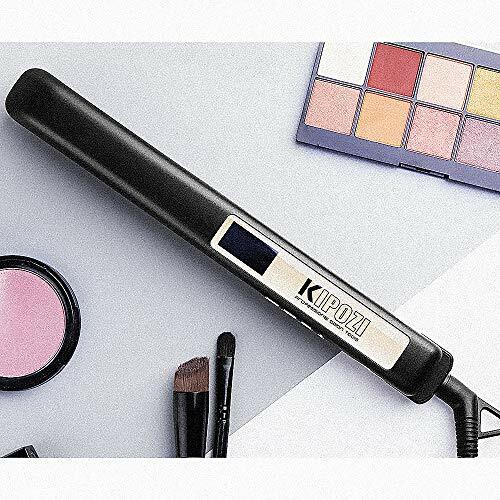 2.Press “+” or “-” button to adjust a suitable temperature, Start to design your hair style.